Lotus Cars have released details today of the Lotus Club GT scheme set to be unveiled on Thursday this week at the Autosport International Show. 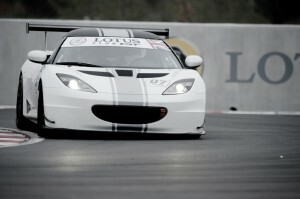 The club, entry to which is gained through the purchase of an Evora GT4 or Evora Enduro in club specification, aims to build links between teams running Evora race cars and the marque’s works drivers such as Johnny Mowlem and the Lotus F1 Team. Lotus will also be discussing developments in Indycar, rallying, karting and the companies Type 125 programme, along with the rebrand of Lotus Motorsport to Lotus Racing. Those attending the show will find Lotus at Stand 2520, along with a presentation by the company on the Autosport Stage from 12:45 on the Thursday. 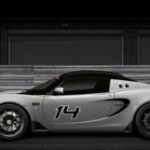 Group Lotus is welcoming applications to one of the world’s most elite clubs – the Lotus Club GT. Here you won’t find leather Chesterfields, wood-paneled walls or the aroma of fine cigars; instead you’ll find bucket seats, carbon-fibre and the smell of burnt rubber. 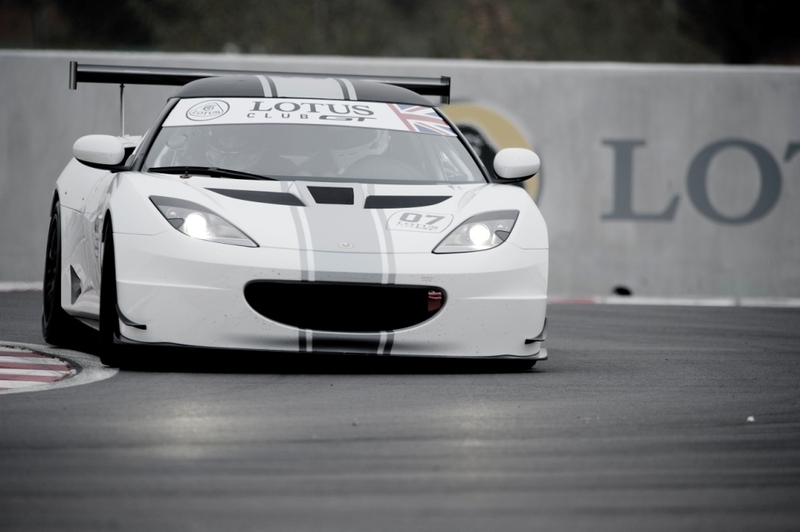 Lotus Club GT’s current entry requirements are met with the purchase of one of Lotus’s premium race-bred models – the Evora GT4 and Evora Enduro with club specification. 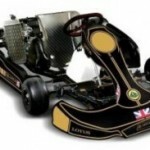 Club events come courtesy of the marque’s professional works drivers and the Lotus F1 Team. Club GT will ensure members get the most from their cars and from themselves, and become legends in their own lifetime. All will be revealed at this week’s Autosport International Show at the Birmingham NEC which kicks off on Thursday (12th January). And, being Lotus, we’ve got plenty more to talk about – from developments with IndyCar and rally, through to some very exciting partner and sponsorship announcements, an update on the newly formed Lotus Racing kart team and the latest F1-honed development of our Type 125 programme. For fans of the brand, the official Lotus stand (2520) is not to be missed – every available square metre has been exploited and crammed full of Lotus’s latest racing models and Lotus factory driver Johnny Mowlem and Commercial Director Tony Schulp will be there to talk about Lotus’ exciting motorsport activities for 2012. 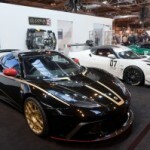 Both gentleman accompanied by some very special guests will be taking to the famous Autosport Stage from 12:45 on Thursday to reveal Lotus’ plans for 2012 including the rebrand from Lotus Motorsport to Lotus Racing. This entry was posted in Group Lotus, Motorsport and tagged AUTOSPORT International, Evora Enduro, Evora GT4, Indycar, Karting, Lotus Cars, Lotus Club GT, Lotus Motorsport, Lotus Racing, Lotus Racing Karts, Rebrand. Bookmark the permalink.